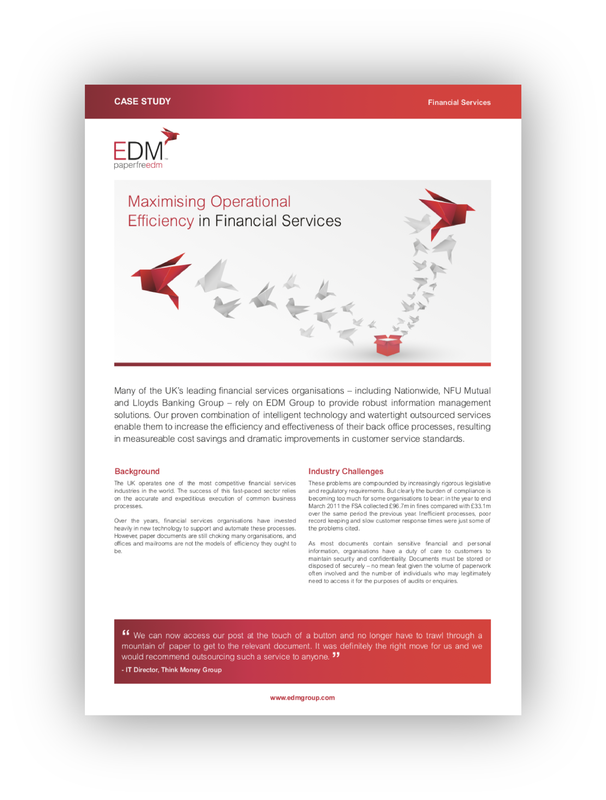 Discover how one of the UK’s leading building societies made cost savings of more than £1 million by implementing an EDM solution. Facilitating an average of 1,700 document retrievals per month, EDM’s electronic document management solution dramatically reduced the time it took the society to retrieve archived documents. Discover our next generation solutions for Financial Services.